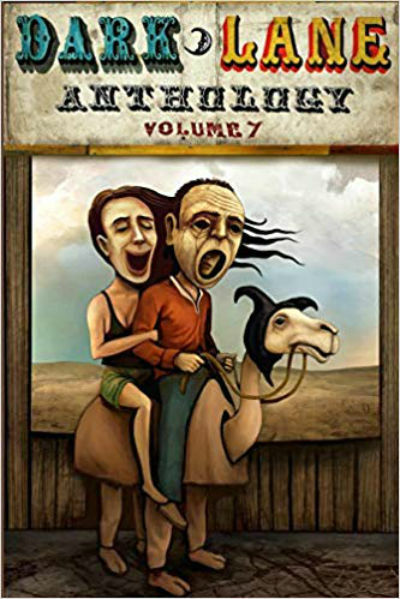 Dark Lane Books released Dark Lane Anthology Volume 7 in October 2018. It contains one of my stories called 'Bloodless'. Ariel Dodson, Bill Davidson, Charles Wilkinson, Christopher Fielden, Couri Johnson, James Horton, John Michael Kelly, John Ord, Joshua Wood, Kenneth Holt, Lannah Marshall, Mark Gallacher, Matthew M. Bartlett, Megan Taylor, Michael Packman, Pearse Anderson, Rhoads Brazos, Robert Pope, Stephen McQuiggan and Tim Jeffreys. The book contains some great illustrations, created by Sally Barnett and Vikki Yeates.